What is it about Connaughton Construction? Captivating. Exceptional quality speaks for itself. You can easily recognize it in the distinct professionalism of project management. No matter how great the pressures or problems; the special pride taken in craftsmanship; the care and attention to complex details, and the willingness to go that extra mile to obtain the right result. We deliver an on-schedule and on-budget performance every time. Since 1980, over 30 years, Connaughton Construction has been providing exceptional building and renovation services to residential, commercial and private institutions in the Greater Boston area. Our dedication to an exceptional standard of quality is seen in our project management team. Our ongoing commitment to provide superior construction capabilities and exceptional client service. It’s clear in the experience and qualifications of the subcontractors and suppliers we choose to work with. And pivotal in our building a long term reputation for successfully meeting our customers’ needs. You can view more clients and contractor testimonials. 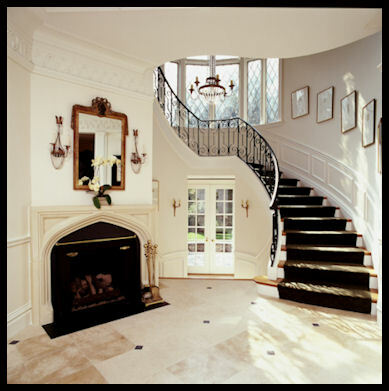 Connaughton Construction has restored many properties into luxury homes and luxury apartments in the greater Boston area. View the luxury renovations on Commonwealth Avenue. From the Gallery, see Fabulous fireplaces, elegant spiral staircases, custom kitchens and spa-like baths.